With summer just around the corner, this refreshing drink is just what you need on a hot summer day, soaking up the sun. Keep it tasty! 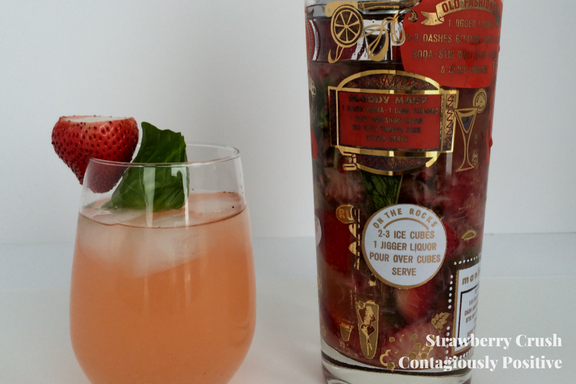 In a large drink mixer, or just a large Mason jar, add the lemon juice, basil leaves and strawberries. Using a wooden spoon, muddle (mash) everything together until the strawberries turn into a chunky pulp. This also releases the oil from the basil leaves, which enhances the flavor. Fill mixer with San Pellegrino, stir well and pour into ice filled glasses. You can garnish with a few basil leaves and extra lemon wedges. If you are using vodka, I recommend 1 ounce per drink.